H.R. 253: To modify the process of the Secretary of the Interior for examining certain mining claims on Federal lands in Storey County, Nevada, to facilitate certain pinyon-juniper-related projects in Lincoln County, Nevada, to modify the boundaries of certain wilderness areas in the State of Nevada, to fully ...... implement the White Pine County Conservation, Recreation, and Development Act, and for other purposes. S. 22: A bill to amend title 54, United States Code, to prohibit the further extension or establishment of national monuments in the State of Nevada except by express authorization of Congress. H.R.243 - To amend title 54, United States Code, to prohibit the further extension or establishment of national monuments in the State of Nevada except by express authorization of Congress. Hage Forage Right Trial Ends - "Sagebrush Rebelion" may be over! Travel Management regulations provide for revision of designated roads, as needed. As the Austin and Tonopah Travel Management Plan has been implemented, District staff have received comments from the public that there are roads that were overlooked, roads that may not be passable to the vehicle class identified, and roads and trails that may need different designations. 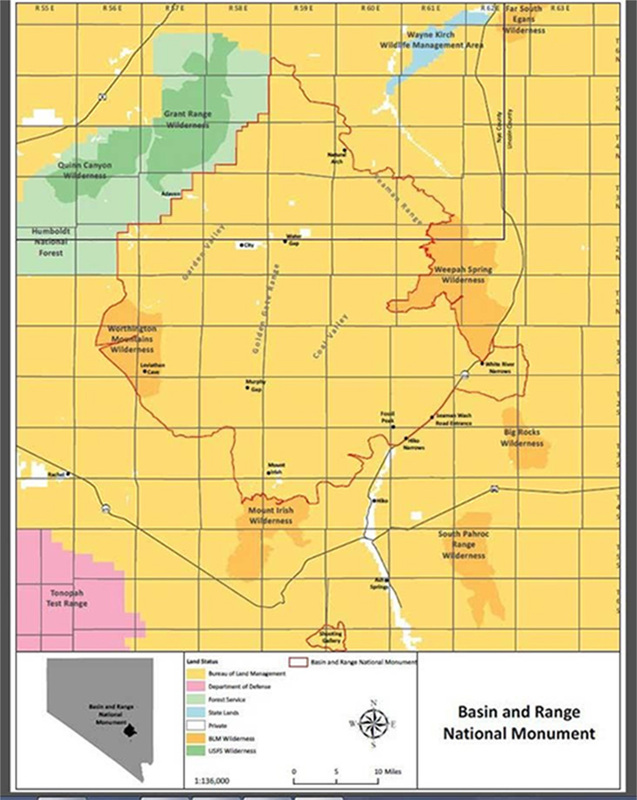 Between now and November of 2012, Austin and Tonopah District staff are requesting public comments and participation to identify where changes may be needed to the overall Forest Transportation System. Over the next eight months, District staff will be available by appointment to review the maps and talk about specific concerns. The Austin Office is located at 100 Midas Canyon Road, in Austin, Nevada, and the Tonopah Office is located at 1400 S. Erie Main Street, in Tonopah, Nevada. The Austin Office telephone number is 775-964-2671. The Tonopah Office telephone number is 775-482-6286. Learn more about this release by talking with Steven Williams, Austin and Tonopah District Ranger, at 775-964-2671. Nevada Solar Energy Zones - "NEW"